Baerlocher India's state-of-the-art plant, located at Dewas, near Indore in Madhya Pradesh, already manufactures Commodity Stabilisers, Liquid Stabilisers, and One Packs. In addition our parent company has set up Baerlocher India Research and Development Pvt Ltd to undertake research and technology development for the Group Companies around the world, and also provide technical support to Baerlocher India sales. What's more, products not manufactured by Baerlocher India presently, e.g., Organotin stabilisers, Calcium-Zinc stabilisers, specialised Non-Cadmium stabilisers for automotive applications, non-vinyl additives like Metallic Stearates, all these can , specially be imported for the Indian customer. 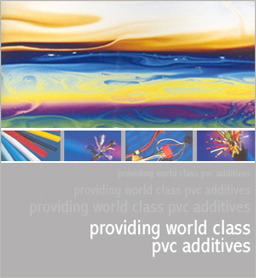 In short, Baerlocher India is a one-stop shop for all PVC and other Polymer Additives for the Indian market.